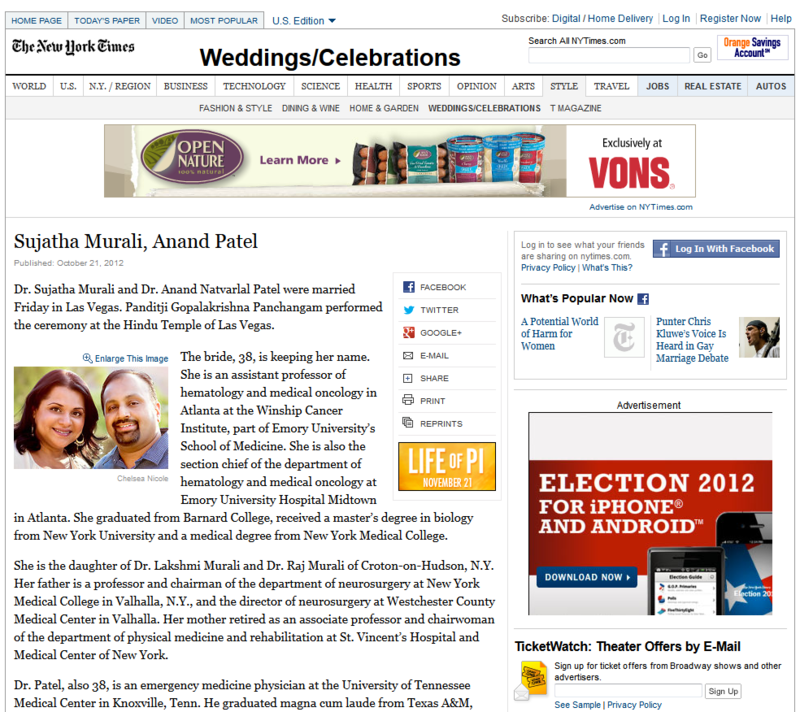 Sujatha and Anand's wedding announcement is in the New York Times! Sujatha told me weeks ago that they submitted their wedding announcement to the New York Times and that they were crossing their fingers that they would be accepted. She told me that it was so special for her because she grew up reading this. At the end of the wedding reception on Saturday night, she showed me their announcement on her iPhone! She was so excited and so was I! Check out the screenshot below and the full announcement here.